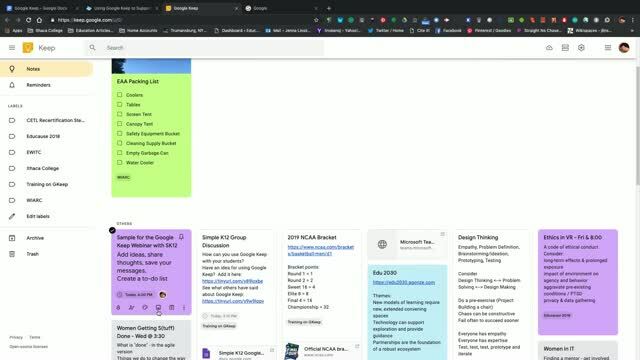 Would you like a great, free tool that will help keep your students organized and make it easy for you and them to share notes and stay on track with assignments and projects? 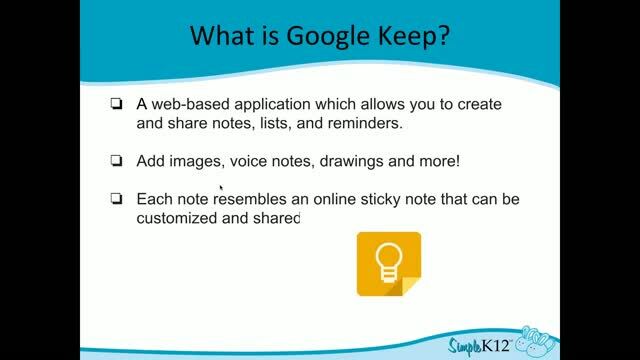 Join Jenna Linskens as she explores Google's newest tool, Keep, and explains how you or your students can use it to create and share notes, reminders, and to-do lists. She will explain how it can also be used with project-based learning to help students stay organized and plan out the steps for their projects. 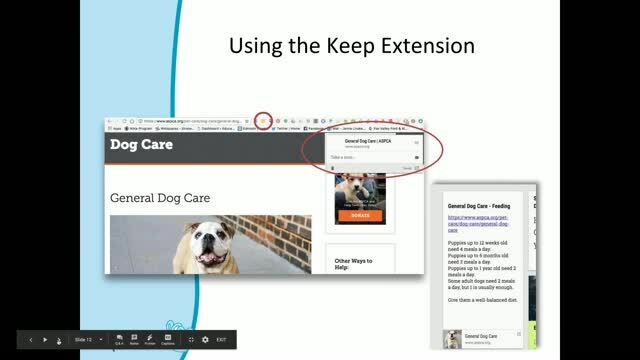 In addition, Jenna will provide specific examples of how Keep can be integrated with various subjects, and share some fun ways you can add Google Keep to your toolbox and begin including it in your daily instruction. I am going to have to watch this a few times to get it all. Good webinar! Helpful = full of potential - will try several suggestions. Thank you. Thank you for the information! This was super informative. This is a really informative resource. I believe i will need to retake this a few times to assure that i am fluent in this. Thank you! It looks like a great tool that I need. 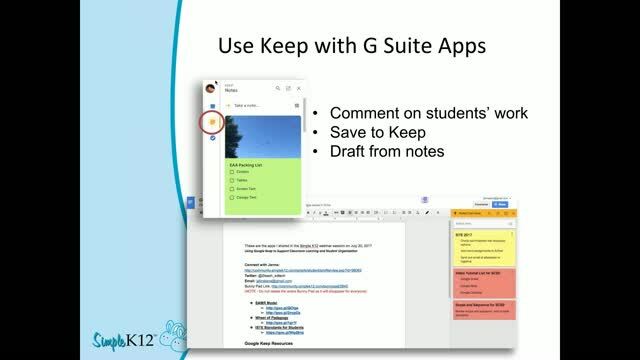 I will try to organize myself with google keep.